From casual eateries to elegant restaurants, the Washington D.C. area offers many excellent places to dine. Have lunch at an award-wining American bistro, stop by a traditional ramen shop, relax with Italian comfort food, try contemporary Spanish dishes, sample innovative Japanese cuisine, indulge in Thai street food, and have some of the best barbecue in town. Daikaya is is one of the top restaurants in DC. The two-story Japanese restaurant is run by three friends who wanted to open a DC-based restaurant that would serve excellent Japanese specialities in a fantastic ambiance. The first floor features a traditional ramen shop that serves mouthwatering Sapporo-style ramen and miso ramen in a fast-paced environment. The second floor is home to izakaya, a type of Japanese restaurant that serves unique cuisine accompanied by a range of drinks in a more relaxed, casual setting. Here, the cuisine is marked by an innovative and adaptive flair, flavored with subtle yet poignant twists on international and American flavors. Central is modern American bistro with a French flair that has been the recipient of numerous awards, including the James Beard Foundation Award for Best New Restaurant in the US. Named for its “central” location on the corner of 11th and Penn NW in downtown Washington, the restaurant is the brainchild of Chef Michel Richard. The restaurant features stylish décor and a sophisticated yet casual ambiance, with lunch and dinner menus that offer guests a wide selection, including shareable table starters, unique appetizers, sumptuous entrees, and mouthwatering desserts. Chef Michel Richard’s lively, jovial style echoes throughout the eatery, creating a vibrant and bustling atmosphere that keeps guests coming back time and time again. If you are looking for romantic date night ideas, Central Michel Richard is one of the best romantic restaurants in DC. Open for lunch, dinner and brunch, the Gryphon is a boutique steakhouse that introduces a new dining concept to food lovers in Washington, DC. Established by the owners of Lost Society, who changed the face of the traditional steakhouse, the Gryphon is a meat-centric “Meat & Raw Bar Social House,” where the focus is on preparation and presentation. The menu features a range of dishes consisting of beef, lamb, and pork. All dishes are prepared, plated, and presented to “share” between friends. The restaurant also has an award-winning oyster based raw bar that offers sea fresh shrimp, lobster, and clams. Everything is carefully and artistically prepared. The Gryphon also has an outstanding wine and cocktail list with selections that will perfectly complement each dish. Wholesome and full-flavored vegetables are the star of the show at Beefsteak where diners can enjoy endless combinations of veggies, hearty grains, delicious meats, sauces, and other scrumptious toppings in a bowl. Custom design your own or choose a favorite from the menu, like the Gazpacho Bowl or the Naked Bowl. Beefsteak is just one of several eateries founded by internationally recognized, award-winning Chef Jose Andres and his ThinkFoodGroup restaurant management company. There are two locations in the DC area: one on Northwest 22nd Street at George Washington University and the other on Connecticut Avenue in DuPont Circle. 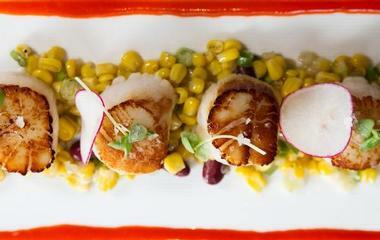 Oyamel is an upscale Mexican restaurant in Washington’s Penn Quarter. The elegant, modern décor combined with bright colors shows that it is possible to recreate the festive atmosphere of urban Mexico without going overboard with kitschy details. Oyamel is the playground of food artist José Andrés, who creates masterpieces of simple tacos, chilaquiles, and gorditas. You will never be able to eat at Taco Bell again. The spacious dining room offers different seating options or you can perch at the bar, where you can get an introduction to some of the unique margaritas and mescal or you can try one of their imaginative house cocktails. 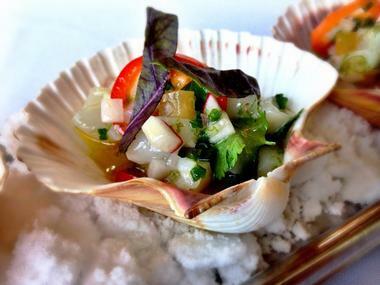 The menu is large, offering traditional Mexican dishes with Andrés’ quirky interpretation. He serves hot gorditas with Hudson Valley duck confit and the ceviche is made in front of you. Everything is fresh, colorful, and delicious, a veritable parade of authentic, contemporary urban Mexican food. To complete the experience, order that most traditional of all Mexican desserts – tres leches. Bringing a slice of Spain to the heart of Washington, DC, Jaleo is a Spanish tapas restaurant that serves a range of traditional small dishes and tapas, savory paella and seafood dishes, and a very nice selection of sangrias, Spanish wines, and beers. 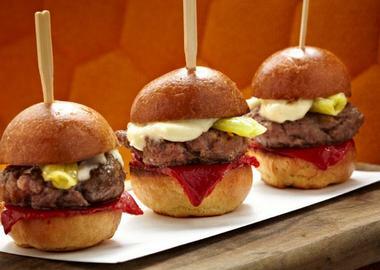 Chef José Andrés manages this popular eatery and updates the menu on a regular basis, using the freshest ingredients around and pulling inspiration from all the regions of his homeland Spain. Jaleo has a comprehensive wine list featuring regional wines from Spain and other international vintages, as well as craft beers and cocktails and has a relaxed, casual and laid-back ambiance. 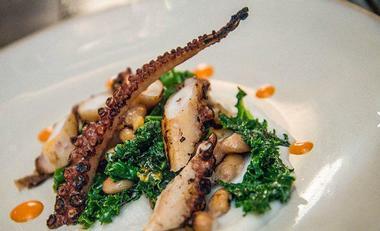 If you are looking to celebrate a special occasion in a unique setting, Jaleo is one of the best DC restaurants. Taking seasonal, organic, farm-to-table fare to the next level, DC Harvest is a contemporary kitchen and bar that serves modern American cuisine. The dishes are absolutely fantastic, and they are made with specifically sourced ingredients and products from local farms and vendors. Located on H Street, brothers Arthur and Jared Ringel combine their expert culinary skills in the kitchen and dining room, allowing guests to enjoy a warm and welcoming neighborhood eatery that serves comforting home cooked food. The seasonality of the menu also extends to the beverage list, which features 100% American beers, wine, and spirits. 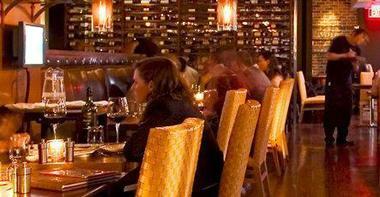 DC Harvest is one of the top restaurants in Washington DC where specials are rotated according to the day of the week. 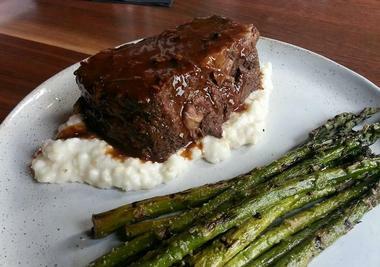 Hill Country is a Washington, DC barbecue restaurant with a Texan flair. 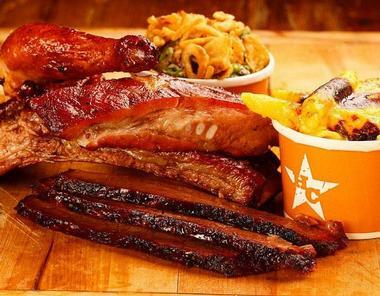 Meat lovers flock to the eatery to savor their freshly cooked brisket, sausage, ribs, and other meats, many of which are dry-rubbed and slow-cooked over Texas post oak in a custom meat-smoking room. They are served by the pound and wrapped in butcher paper. For something sweet, try some of the DC versions of Southern classics such as Peanut Butter & Jelly Cupcakes or Lone Star favorite Blue Bell ice-cream. Complement your meal with a drink from their impressive selection of beers, tequila, and specialty cocktails. To complete this savory experience, take in live American Roots Music in the legendary Boot Bar most nights of the week. Kyirisan is a trendy French-Asian restaurant in the heart of DC’s Shaw neighborhood with elegant, almost stark beauty, serving adventurous and unique food and drinks. The dishes created by the chef/owner Tim Ma are the original fusion of Asian (especially Chinese) flavors with French touches. The dishes, with names such as Buddha’s Delight or Sous Vide Duck, go well with the simple white and blue décor that looks almost maritime. The best art in the place comes in the plates, which are a visual and gustatory delight. Things like Earl Grey Noodles are not a fad, and you will not find them anywhere else. Kyirisan is good enough for any respectable foodie but is also great place to bring and impress a date or a business partner. 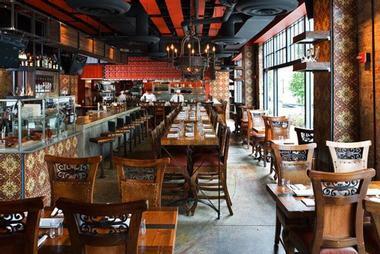 Located in the fashionable Logan Circle neighborhood, Estadio (meaning “stadium” in Spanish) is a contemporary Spanish restaurant with a creative take on traditional Spanish cuisine, an outstanding wine list, and an innovative cocktail program. Executive Chef Haidar Karoum and Chef de Cuisine Ruffino Bautista offer guests a range of small plates that represent the cuisine of Northern Spain, such as traditional tapas, Spanish quesos (cheese), and embutidos (charcuterie). 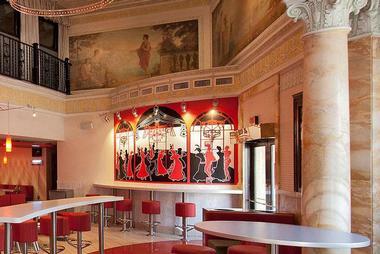 In true Spanish style, the eatery features Spanish-style décor with tiles, marble, and wrought iron rosette panels. The restaurant has a convivial, relaxed ambiance. 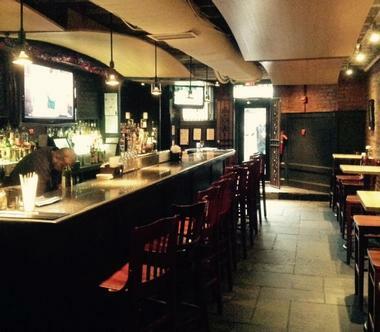 A semi-private dining room is available for parties of 9 or more. Soi 38 serves some of the tastiest Thai street food in Washington. Inspired by underground eateries scattered throughout Bangkok’s night market of the same name, Chef Mitchai Pankam serves delicious and unforgettable culinary creations. 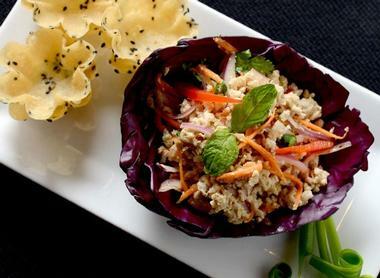 Stop in for lunch and try the Kra Prow Gai or the Gaeng Kiew Wan Curry. Bangkok natives Nat Ongsangkoon and Dia Khanthongthip long dreamed of bringing their hometown’s distinct flavor to D.C., leading them to open Soi 38 in 2014. You’ll find them on Northwest L Street in the West End district. Z-Burger is known for serving some of the best burgers around town. Stop in and try the bacon cheeseburger, fresh cut fries or onion rings, and one of the 75 varieties of milkshakes. 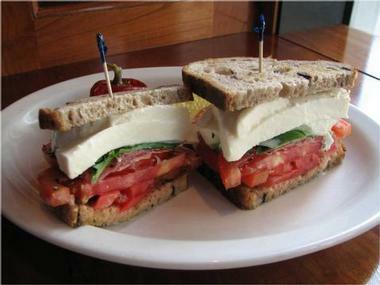 Even vegetarians don’t have to shy away from this restaurant, as they also have delicious black bean burgers. Owner Peter Tabibian opened the first Z-Burger in 2005 in Tenleytown. He has since expanded the business to another six locations in Glover Park, Southwest Waterfront, Columbia Heights, White Marsh, Arlington, and the newest on Northwest P Street. Also, keep an eye out for the Z-Burger mobile food truck. 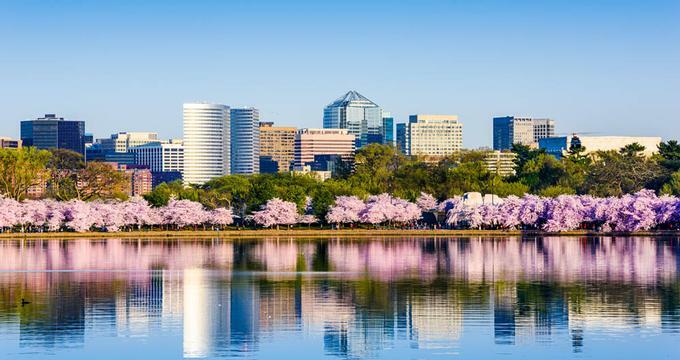 DC’s iconic Capitol City Brewing Company brews and serves incredible beers to accompany their delicious regional cuisine made with the freshest ingredients sourced from the Mid-Atlantic area. 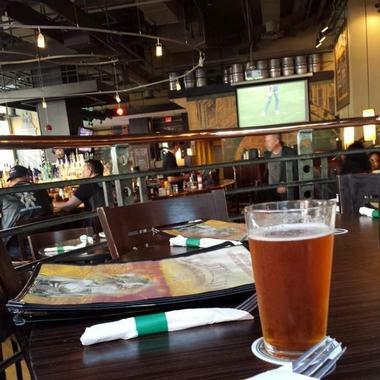 Try the Southwest Keg Rolls or the Jambalaya, and wash it down with a glass of their Amber Waves Ale. Founded by restaurateur David von Storch, Capitol City Brewing opened in 1992. You will find their original site downtown at the corner of 11th and Northwest H Street, or you can enjoy the view of the pedestrian promenade at their Virginia location in Shirlington Village. You will have a chance to be your own chef at Washington’s Custom Fuel Pizza. Choose from a wide variety of fresh, natural ingredients and toppings with dough made fresh daily, or have them in one of their Collectible Salads. 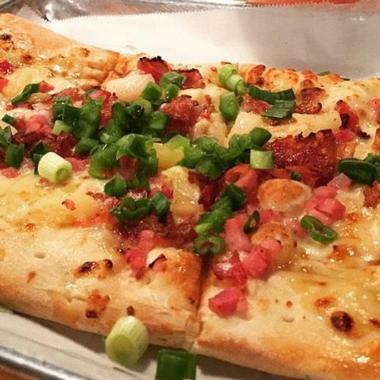 Build your own or try one of their signature pizzas, like the spicy shrimp and garlic or the Brooklyn Bridge. Gluten-free options are also available. Custom Fuel Pizza opened in 2013, an extension of Charlotte, North Carolina’s popular Fuel Pizza chain. It was started by friends Jeremy Wladis, Lincoln Clark, and Zach Current. You can visit either of their two DC locations, located at Howard University or on Pennsylvania Avenue in Foggy Bottom. Proof is an award-winning, wine-centric restaurant located in the heart of the Penn Quarter that serves a creative menu of modern cuisine and an unrivaled wine list. Created by Chef Haidar Karoum, the menu features a variety of unique dishes made from locally sourced, organic ingredients as well as an extensive international selection of cheese and charcuterie. The wine list boasts over 1,000 vintages from around the world and an Enomatic machine from Italy dispenses more than 40 by-the-glass selections. The dining space blends old world charm and modern panache with exposed brick walls, a custom-made French pewter bar, and Italian leather seating, creating a rustic and warm ambiance. Located near Washington’s Logan Circle, The Bird is a poultry-focused restaurant on two levels with whimsical murals on the walls created by local artists. 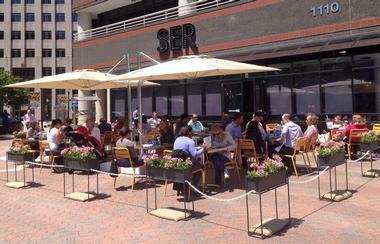 The patio, furnished with colorful Adirondack chairs, is popular on warm days and is great for people watching. The bird focus of the restaurant starts with the appetizers, include a birdseed mix and a fancy foie gras mousse with beets, pumpkin seeds, and mustard greens. The modest chicken is elevated to a totally new level with crunchy, spicy Korean wings with cilantro or grilled chicken covered in peri-peri sauce. Chicken shares the menu with other, more exotic birds, with dishes such as ostrich tartare and jumbo quail. 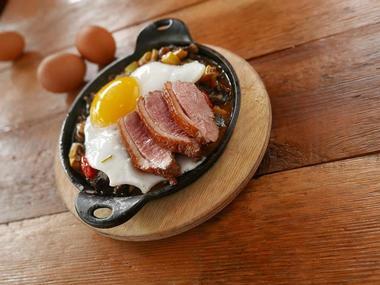 The brunch menu focuses on eggs in all shapes and forms. Nestled in the heart of Falls Church, 2941 is one of the most celebrated fine dining restaurants in the area. Award-winning Executive Chef Bertrand Chemel and Caitlin Dysart combine forces to create a menu of bold French and Mediterranean flavors that translate wonderfully into contemporary American cuisine. Diners can enjoy a regular a la carte menu for lunch and dinner throughout the week, as well as a signature five-course tasting menu available on Thursday and Friday nights. An impressive wine list and an array of signature cocktails provide a number of options, allowing guests to select the perfect accompaniments to the exquisite cuisine. Meaning “to be simple, easy and real,” Ser Restaurant is a friendly and inviting neighborhood restaurant in Ballston that offers Spanish-inspired comfort food in a casual and relaxed environment. Their lunch, dinner, and Sunday brunch menus are known for traditional cuisine of Spain and feature tapas-style small plates, fresh seafood creations, roasted and grilled meats, and delectable desserts. In addition to the regular lunch menu, Ser has a counter “Lunch Shop” where delicious homemade sandwiches, salads, and soups are served for those on the go. Enjoy a unique "TXOTX” ritual dinner, which is a four-course family-style, Basque cider house tasting menu that takes place every Wednesday. 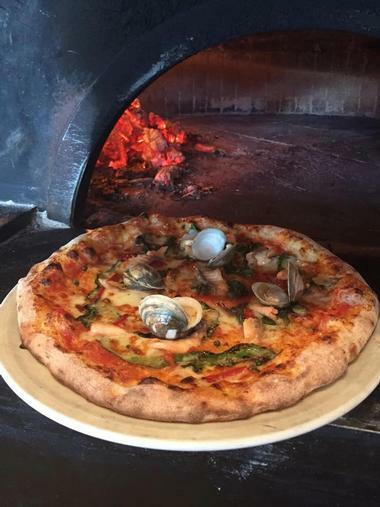 Pizzeria Orso is an authentic, award-winning Neapolitan Pizzeria in Falls Church that serves traditional Italian cuisine, wood-fired pizzas, a selection of small plates, and scrumptious desserts. Executive Chef Bertrand Chemel offers diners a menu of hearty comfort food, including small plates of antipasti, charcuteries and cheeses, homemade pasta and risotto, fresh salads, and thin crust gourmet pizzas fired in a custom-made volcanic brick oven. Don’t miss out on tasty desserts like the tiramisu, semifreddo, and lemon olive oil cake, all of which are simply to die for. A comprehensive wine list features a range of Italian wines and Proseccos, and the establishment also serves local and imported craft beers and soft drinks. 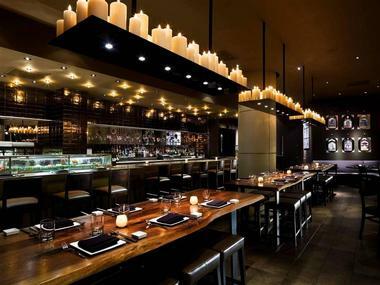 Zentan is a popular contemporary Japanese restaurant located in the ultramodern downtown DC hotel Donovan. 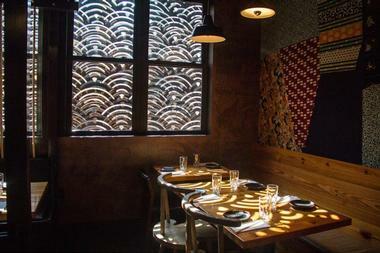 Elegant and spacious with thousands of flickering candles, Zentan has the atmosphere of a modern westernized izakaya. Chef Yo Matsuzaki offers delectable shareable plates like sushi made from fish sent live from Tsukiji market in Tokyo and delicious authentic robata grilled meats. The flavors are superb and recipes are influenced by Chef Yo Matsuzaki’s childhood memories from Shikoku, Japan. A well-stocked bar offers top quality Japanese whiskey, among other spirits. Zentan’s sophisticated atmosphere and superb food make it a great place to bring new clients or business partners. Once a month, Chef Yo and Zentan’s Head Bartender Matt Allred offer demonstrations on sushi art and cocktail mastery. What do the presidents and senators eat? If you are wondering, check out The Oval Room, a contemporary upscale restaurant located just a few steps from the Oval Office, where the powerhouses of Washington frequently dine. The dining room is appropriately elegant and sophisticated, with magnificent original art on the walls and soft, discrete lighting. There is enough space between the tables to allow for private lobbying or for discussing strategy, but once the food arrives, everyone stops talking – Executive Chef John Melfi is just that good. 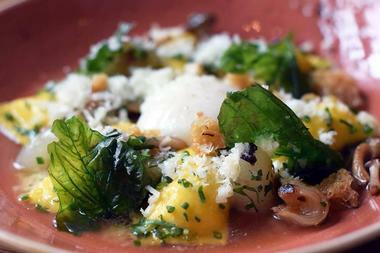 Officially called modern American cuisine, what chef Melfi makes is actually in a category of its own. He mixes flavors and ingredients in a totally unexpected way with spectacular results. Just try his Pan Roasted Amish Chicken with Foie Gras, Chestnut Puree, Brussel sprouts, smoked honey, and Trumpet mushrooms. For the full experience, go for the chef’s seasonal four-course menu with a wine pairing. It is a heavenly experience.